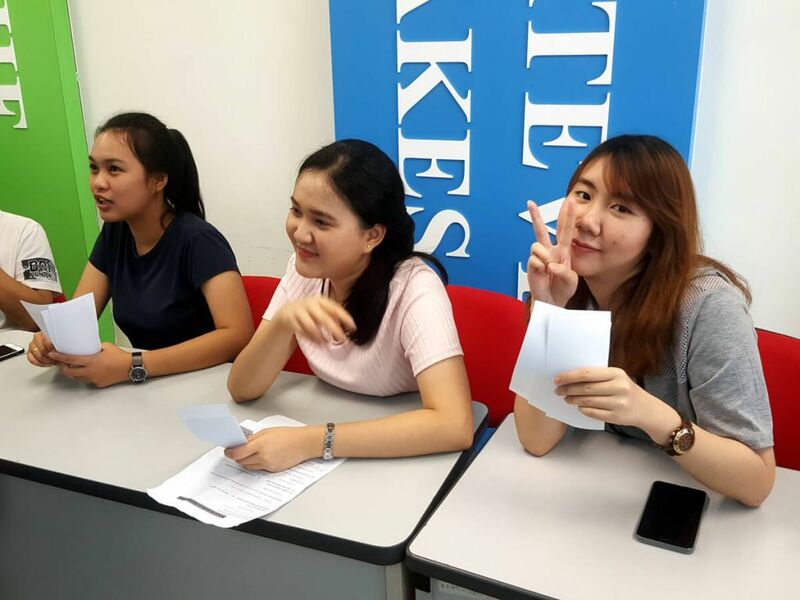 Our Hawthorn English Language Students were given the opportunity to participate in voluntary work at the Thye Hua Kwan Hospital during their latest excursion. Hawthorn English students participate in voluntary work. 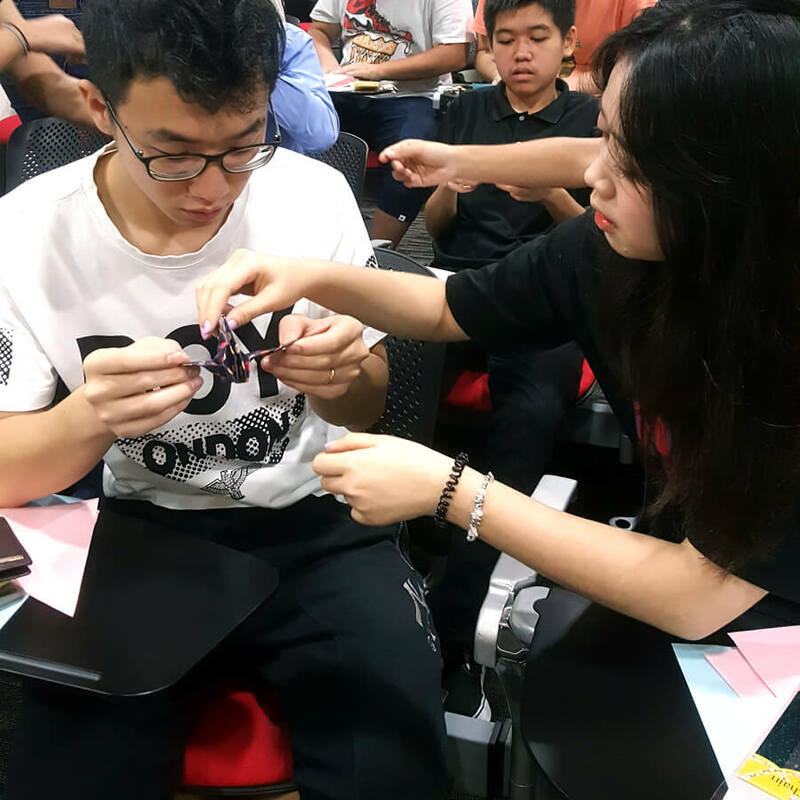 The students started bright and early, preparing hand-made gifts and rehearsing performances for the patients. 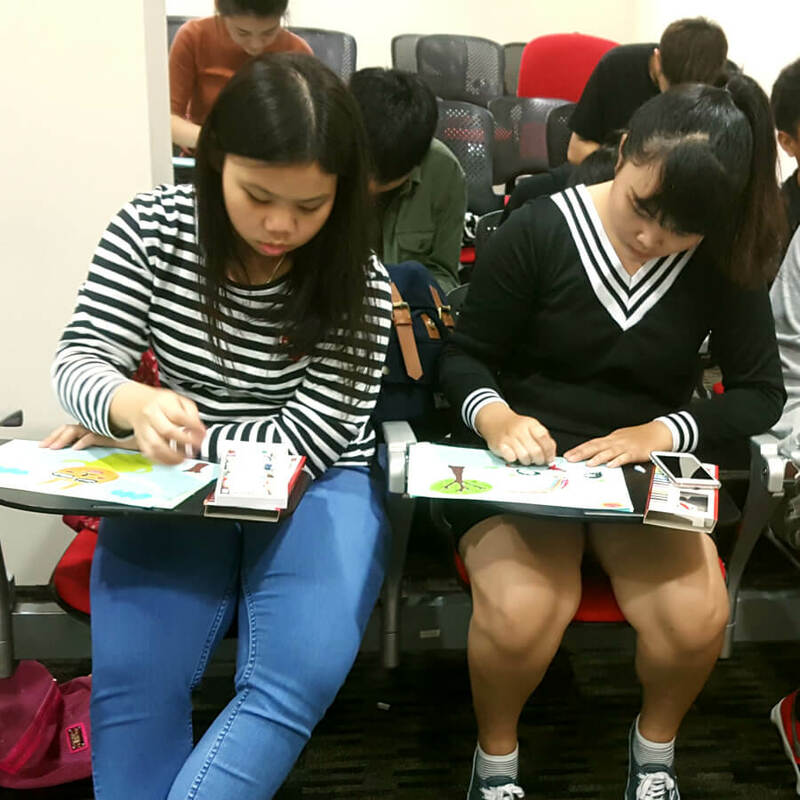 Through these activities, students were encouraged to express their creativity and learnt how to work as a team, with the common purpose of bringing joy to the group at the hospital. Upon arrival at the hospital in the afternoon, our Hawthorn English students handed out their hand-made crafts to the patients. These thoughtful gifts brought smiles to everyone’s faces, as it’s a delight to give, as well as to receive. Some students were assigned to assist in arts and crafts activity led by the hospital staff. 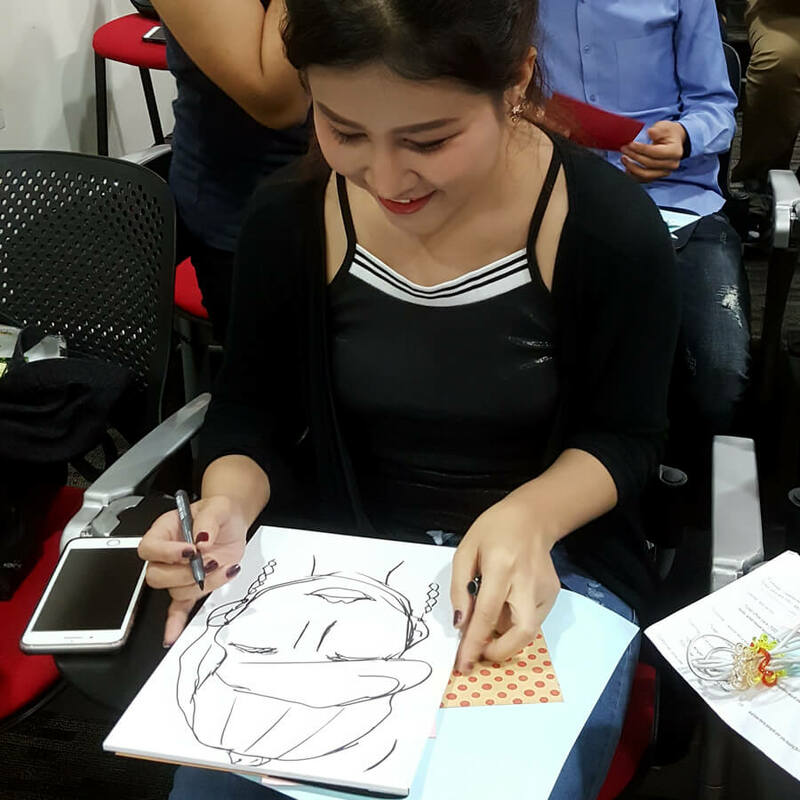 Some sat down with the patients to draw caricatures. It was a very intimate session where students could practice speaking basic conversational English while interacting with the patients. Near the end of the day, our students assisted with a Tai Chi lesson led by an instructor. The energy emitted by our young ones helped liven up the session. 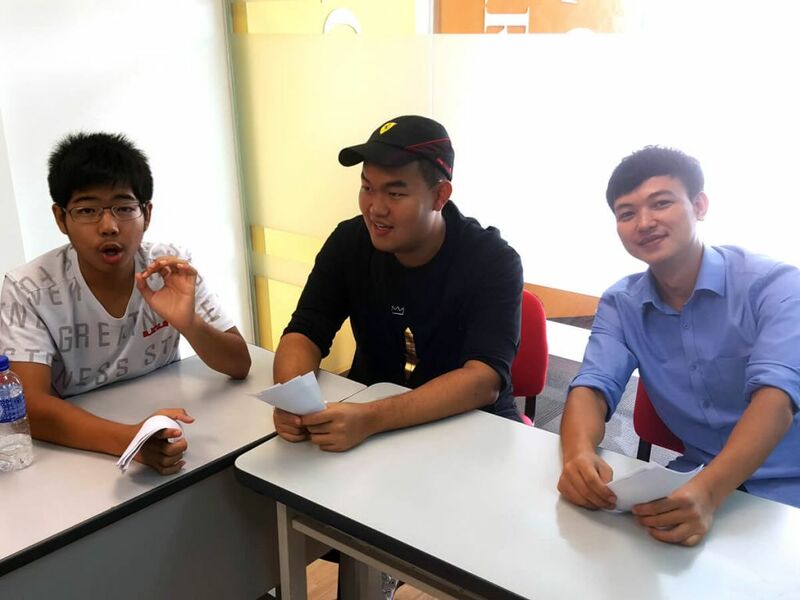 Our student Jay, from Thailand, expressed, “It was nice to help the patients with their exercise.” After the activity, students helped to wheel the patients back to their beds and bid their goodbyes. Volunteering at the Thye Hua Kwan Hospital was a great opportunity to give back to the community. Everyone worked together to ensure the patients had a positive experience. It was easy to see that our presence brought a positive energy to the hospital. Some of the patients even asked us to return again sometime! 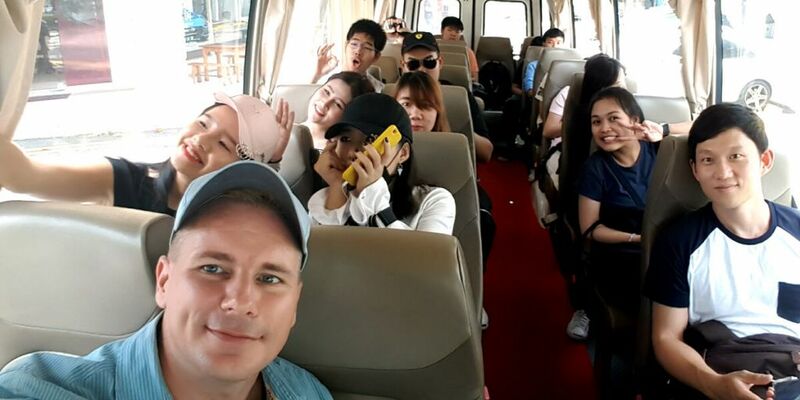 We are certain this Hawthorn excursion left a deep impression on our students, and hope to conduct similar visits for them to learn both the English language and good values in life.